Today known as Chiquita Brands International , the United Fruit Company was established in New Jersey in 1899 as the result of the merger of two tropical trading companies; Minor C. Keith’s Tropical Trading & Transportation Co. and Andrew W. Preston’s Boston Fruit Co. According to Andrew Perston’s declarations before the US Senate Committee on Relations with Cuba in May 1902, the Boston Fruit Co. had begun investing in Cuba since before the war for Independence acquiring a banana plantation at Nipe Bay in Holguín Province. They conceived the idea of harvesting sugarcane on lands acquired that were not suitable to growing bananas so in 1901 they changed their focus in Cuba from bananas to sugar. 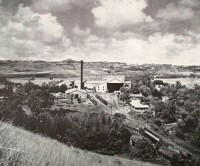 As a result, in order to utilize the land acquired from a French syndicate, in 1900 the company built a sugar mill and planted its approximately 280,000 acres of land with sugarcane and began the production of sugar. United Fruit was also a transportation company and owned the Revere Sugar Refining Co. in Boston, to which its raw sugar was shipped from Cuba on its own steamers to be refined; thus completing the cycle of operations from planting the cane to marketing the final product. No other sugar producing enterprise had such comprehensive integration. Its first sugar mill was Central Boston designed by Hugh Kelly & Co. and built in 1900, it commenced operation in May, 1901. It consisted of about 70,000 acres of land in Banes. 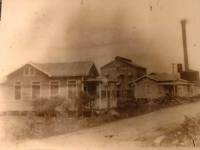 Its second sugar mill was the 172,000 acre Central Preston, named in honor of Andrew W. Preston and built in 1907 by subsidiary Nipe Bay Co. Central Preston's 1921-22, season sugar production was approximately 700,000 bags, exceeded only by Central Delicias.